Early next year, a fundraising campaign will begin, in hopes of resurrecting a rare biplane airliner called the Handley Page HP42. Though only 8 copies of the massive plane were built, it is considered the Concorde of its day, carrying travelers at the epitome of luxury, while flying at 100MPH. 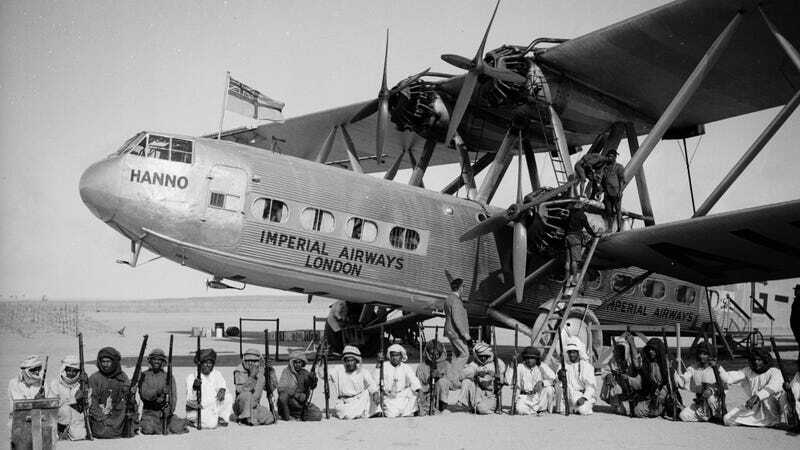 Of the eight planes built, four were used by Imperial Airways to serve routes from England to Europe, and the other four flew from India to Africa. Imperial Airways eventually became part of what is now British Airways, and was the origin of British Airways' famous "Speedbird" logo. There are no surviving examples of the plane. Construction of the new HP42 will be a massive undertaking, because it's not simply a restoration of an old plane — they're essentially building a 9th plane from scratch. Its wingspan stretches 130 feet, longer than the wingspan on a Boeing 757. The wings will be manufactured at three different locations in England. The HP42 was designed and built in the 1930s. Its cabin was based on the design of the luxury Pullman railroad cars used on the Orient Express, and originally came with no seatbelts. It carried 24 passengers, and had a top speed of 120 MPH. An English group called Team Merlin is leading the charge, and the group says the plane has already been written into scripts for two upcoming movies. The group says their plan is to actually have a working, flyable plane - the schedule of which will depend upon funding for the project. Team Merlin spokesperson Neil Farley said the plane is a major draw of interest from several industries, including fashion, business, entertainment, sport and lifestyle. The team estimates the build time will take two to three years. Hopefully, British Airways will jump on board to help fund the project, as the HP42 is a major part of the company's heritage.